You’ve Made It To Rome! Catholic Apologetics Greeting Committee Welcomes You! I can’t help but wonder how Scott Hahn came to officially greet this convert. This is purely speculation, but I wonder if my blog entry, which James White linked to, was the reason Scott Hahn came upon this new convert. This would mean of course, Scott Hahn reads James White’s blog, which would not surprise me. Says who? Who determines an infallible binding doctrine? Why, it’s none other than whichever sola ecclesia group one places their faith in. In other words, one begins with placing their faith in a particular group/person. But a statement produced by a sola ecclesia group does carry divine authority, because they say so. First one must ask, on what basis does one determine the church is infallible? I submit, it is merely assumed, all sola ecclesia groups assume their authority. In regards to Rome, when asked how the Roman Catholic Church can establish her authority, they answer sometimes that it is proved by the testimony of the Scriptures. Hence, the Roman Catholic uses a circular argument: they prove the authority of the Scriptures by the Church, and the authority of the Church by the Scriptures. Other Catholics, realizing the viciousness of this circle, simply assume it being the case that Rome is infallible. The second aspect of this argument compares the divinity/humanity of Jesus with the divinity/humanity of the Church. It is argued that just as Christ was infallible and human, so the church can be infallible and human. Yet, the argument forgets that Christ in His humanity, was perfect in every aspect of that humanity. Is the church perfect in every aspect of its humanity? I submit, no Roman Catholic would argue it is. The Roman Catholic Church has many blots on her record. Christ has none. Thus, the analogy is a false analogy. Rarely do Roman apologists begin with what I look for in a compelling argument: the revealing of initial, unproven, faith claims. No, they keep these hidden away, buried under citations of church fathers and complicated arguments. Here’s an analogy. When I went to see Lord of the Rings, all the evidence and information made sense. The ring had to be destroyed. It was the only way to save Middle Earth. Now, I could engage in all sorts of arguments about which way Middle Earth could’ve been saved better, and devote my life to proving my theories. I could live my living devoted to Middle Earth. What must I assume to do this? That Middle Earth is a real place. In the same way, much of the Catholic argumentation may appear to make sense once the first point is believed, that Rome is infallible. This claim though, is unproven- it is assumed. Thus, like Middle Earth, it is a system of fantasy, not reality. But if one accepts the first point, all the others follow. With Rome, even though the points follow, the argumentation which appeals to history and Scripture is not compelling anyway. This is a quick follow up to my previous entry A Presuppositional and Brilliant Calvinist Convert to Rome. I’ve been following the Puritan Board thread discussing this. In regard to the “authority” claims made by Catholic apologists, I do not find the arguments put forth persuasive. I have a special interest in this area, and I find the arguments put forth fraught with double standards and self-refuting. I have yet to hear even one argument that remotely makes me consider, "well, they've got a good point here..."
“Actually, my skepticism started with a rather simple question: Where would I have attended church during the first 1,500 years of church history? This question, posed by Jargon, has haunted me every day since. 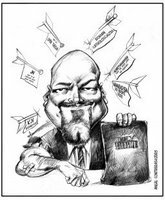 Given my Calvinist distinctives, which church would have claimed me as one of their own? Which church father would identify with my protestant doctrines? Why do I feel spiritually disconnected from the first 1,500 years of the church? These questions, and many others, were the center of my spiritual reflection since that day." Now, one should immediately try this question in a broader context, to see if it is valid question to explain reality. Let's ask the modern-day Roman Catholic the exact same question: Where would a modern-day Roman Catholic find his particular mode of Catholicism in the first 1500 years of the church? Keep in mind, there are differing "types" of Catholics, though they claim to be the Borg, they are not. He may find some "similarities" (whatever that means), but he's separated by time, culture, history, etc. 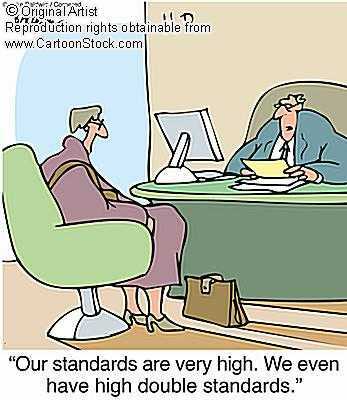 One cannot apply Twenty-First Century standards to medieval people. The people in the first 1500 will worship differently- because they are different people, separated by many factors. Similarly with doctrine- the Roman Catholic Church today was not the medieval Roman Catholic Church. There were, and are differences- which has led the modern Romanist to bow at the alter of "development of doctrine" (in many ways, a novum itself, at least the Roman Catholic understanding of it). Even with development- certain practices just stopped, and never continued developing. Other practices started later, and find no connection to the early church. The point: to use this question as a method for determining “reality” a modern day Roman Catholic should be asking the same exact question that this ex-Calvinist is asking. It must be so in order to demonstrate consistency. By reversing the question though, and applying it to a Roman Catholic, it demonstrates it's a false question. It is an invalid approach to determining reality. This ex-Calvinist crossing the Tiber got a bit angry with me when I mentioned people make these type of conversions/decisions from the heart. There are more factors going on than simply a historical and scriptural search to determine “truth”. He denied this. But if his decision really was the result of the use of logic and the pursuit of truth, I have to wonder if he ever did the basic-presuppositional 101 test of applying the same question to the person asking it. Typically, Roman apologists can't answer their own questions. They can't give a coherent response when the same question is asked of them. 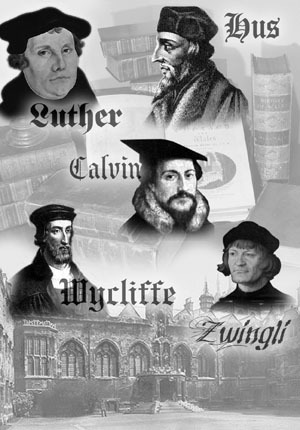 Who to Trust on Luther Biographies? "You expect me to trust a guy who apparently spends most of his life defending protestantism to recommend an even handed treatment of its originator?" I get comments like this all the time. Usually, from the folks over at Catholic Answers. I received a blogback comment on my previous entry on the Facts About Luther from the person who prompted this entry. I would like to briefly respond to the points he made. "I'm 'manualman' from Catholic Answers. I hadn't realized my post had become a blog entry." Well, you should probably check the private message feature that the Catholic Answers site provides. I sent you 2 private messages. The first was sent to you January 1, 2007 at 10:30 AM. I mentioned, “I will probably address the comments raised in the recent thread you started. There are many good books on Luther written by Roman Catholics. O'Hare's book is not one of them.” I then linked to my blog. The second private message was sent to you January 2, 2007 at 7:01 AM. I stated, “As noted, I took a look at your comments on Patrick O'Hare's Facts about Luther: Christmas Present: The Facts About Luther.” This message linked to this very blog entry. "Your thoughts are appreciated, but your mind-reading skills are wanting..."
Why not just come out and say you don’t appreciate my perspective?
" 'He's interested in being fueled in maintaining an outdated Catholic polemic.' If that were true, I wouldn't have started the thread in the first place! Instead of ascribing base motives to me, try a bit more imagination." 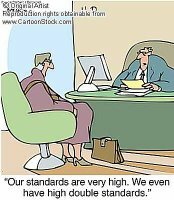 I am accurate in my assessment, and you demonstrate that you don’t even understand my position. 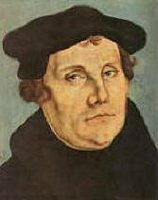 The approach that Catholic scholars previously took in studying Luther was to evaluate Luther the “person” rather than Luther “the theologian”. To gleefully read and recommend a book like that put forth by O’Hare is to maintain an outdated approach to studying Luther. The book has value only in demonstrating how flawed this particular method was. Just recently, I noticed that a Catholic apologist put up a list of recommend books to study Luther and the Reformation. I noticed he included O’Hare’s book. I wrote about this here on this blog. Then all of sudden, O’Hare’s book disappeared from his blog entry. Hmm…wonder why? At least he seems to grip that O’Hare’s book is not helpful in studying Luther. See also, this blog entry- He notes of O’Hare’s book, “That was the first research I did upon converting and I think I would do it a bit differently today.” Perhaps the same could be said of you. Oh yes, you nailed me. I’m up to my usual deceptive tactic of trying to mislead Roman Catholic layman in his pursuit of historical truth. Give me a break. In my own writings, I’ve positively cited many Catholic authors that have written on Luther, and I can also point out books by Protestants that are a waste of time to read. I am familiar with a large corpus of writings on Luther. Much of my work is available to be scrutinized by those who oppose me. In regard to Luther biographies, I’ve had Catholics thank me for the research I provided. If my recommendations of books on Luther are so biased and untrustworthy, I challenge you to prove your case rather than merely state it. If you’re interested in fueling an outdated polemical approach to Luther, you can follow Art Sippo’s advise. Sippo claims to be knowledgeable on Luther and the Reformation, but as I demonstrated in my discussion with him, he doesn’t know what he talking about. "On the contrary, I intend to read Rix and Hillaire Belloc before finishing O'Hare. THEN I will give a few protestant apologetic authors a shot. I suspect you proceed no differently. Pick authors you trust first and THEN examine the arguments of those you don't." You are mistaken. My personal library of Luther and Reformation books is extensive. I read and use the books as I come across them. O’Hare’s book was one of the earliest books I acquired on Luther. Upon an initial reading, I was shocked by the information, as you were. I initially read more Catholic web pages on Luther than either Protestant books or web pages on Luther. One of the reasons this very blog exists is because I found the Protestant community severely lacking in providing responses to the polemical material put forth by Roman Catholics. In other words, I read Catholic material on Luther, and then began my in-depth studies on Luther. A Presuppositional And All Around Brilliant Calvinist Converts To Rome? But it is impious to believe that Our Lord has not left us some supreme judge on earth to whom we can address ourselves in our difficulties, and who is so infallible in his judgments that we cannot err. I maintain that this judge is no other than the Church Catholic, which can in no way err in the interpretations and conclusions she makes with regard to the Holy Scripture, nor in the decisions she gives concerning the difficulties which are found therein. For who has ever doubted it? Here de Sales would have his reader to believe that he has access to this “supreme judge on earth to whom we can address ourselves in our difficulties,” as if this grandiose claim were true. In other words, he assumes the very thing he wishes to claim without proof, as though it’s never been doubted. Apart from the impracticality of the claim that people may simply find recourse in their local priest for Rome’s interpretation every time they encounter some difficulty with understanding Holy Scripture, no such source exists even for the members of the communion of Rome. A present day analogy would be that of a politician declaring a crisis, the threat of which is a danger for all, but in reality has been invoked for the purpose of special pleading; “Never fear! I have the solution for your problem!” Rome has no infallible list of infallible interpretations. This is easily proved from their own sources. Almost all of them will tell you that when a scriptural proof is adduced for proof of a dogma, it is only the dogma itself that is regarded as “infallible” and not the exegetical proof drawn forth for its support. David went on to cite multiple sources to prove his point. See his original post found here. The Catholic answer posits an initial faith claim that God gave the Roman Church authority to be the standard being asked for. That’s it, plain and simple. It is a beginning unproven “faith” claim. Now, that claim should be applied to both Scripture and history as a template to explain reality to see if it works. As I’ve pointed out here on this blog, and as David King points out above, it doesn’t. I’ve often said people make these type of decisions from the heart. There are more factors going on than simply a historical and scriptural search to determine “truth”. 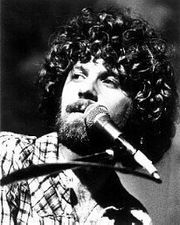 I’m sure if I were to sit and talk face to face with this man for an hour, “heart” factors would emerge. Now though, he has the task of coming up with ways to tape and pin biblical and historical facts together to make his new template for reality work. He will have an arduous task, and I don’t envy him. Now, I’m not a Reformed Baptist, but I definitely agree with the points James makes. Here's a quiz on the Reformation: Reformation quick Quiz . Careful with this one, It's timed (60 seconds). Here is a funny Reformation quiz: History Quiz Seven: Reformation. Wait till you see question #9- whoever put this quiz together should be failed. Here's a quiz that doesn't give you the answers to know how you did: Reformation quiz. And here's a Reformation quiz with typo's for 6th Graders: Reformation quiz. I found this quiz, How Lutheran Are You?. No, I didn’t score 100. The results showed I was 75% Lutheran. Most of the questions in which I knew the answers were about Martin Luther. The questions I didn’t know were in Reference to Lutheran hymnals and Denominational details. The quiz doesn’t really show how “Lutheran” one is. Actually, the quiz shows how much one knows about Lutheranism. I’ve been planning on doing a blog entry on which books one should use to study Luther. I’ve been planning to do this for a year. Well, I’ll get to it…eventually. People have written me and asked me, so I guess I should do what I mentioned above: put up a blog entry for quick reference so I don’t have to write the same thing over and over again. Well, a Catholic Apologist put up a blog entry on Recommended Catholic Apologetic and Historical Books. I was going to do an entire entry on his Luther and Reformation choices, but then I figured it wasn’t really worth the time. Just scroll through his recommendations, and note he mentions Patrick O’Hare’s Facts About Luther, Hartmann Grisar’s work, Janssen, Beloc, and a bunch of others. My general comment is his Reformation recommendations are imbalanced, though a few of his suggestions have merit (Tavard and Lortz). I’m not familiar with all the authors mentioned, but if he’s recommending O’Hare and Grisar- well, as the old Monty Python line goes, “Run Away!” I’m sure he has some “sort” of reasoning behind including these outdated & refuted approaches to Luther, perhaps for “historical” value- to show how works like those put forth by O’Hare and Grisar were fundamentally flawed by their vilifying approach. UPDATE 1/22- Father O'Hare's "Facts About Luther" was removed from his book list. Thanks for stopping by Catholic apologists! Because he stands in the shadows of Luther and Calvin, Zwingli (1484-1531) gets overlooked often. His writings can be difficult to track down. One can go to the local bookstore and get a Calvin or Luther bio or anthology, but you’ll do a lot searching to actually get a Zwingli book. When you do read Zwingli, it becomes apparent that he was not on par with either Luther or Calvin. I’ve always wanted to read Zwingli discussing his Mariology. For the most part, the only people who seem to “care” about Zwingli’s Mariology are Roman Catholics. And really, they probably aren’t interested in actually reading and researching Zwingli. Rather, his writings are used for polemical purposes- to show that an early Reformer had particular beliefs about the Virgin Mary. It does appear that Zwingli did have some similar beliefs about Mary to those found in Roman Catholicism. This is a subject that I plan on exploring. I'd like to see for myself how Zwingli understood the role of Mary. 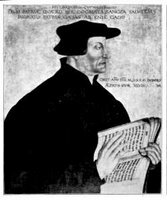 I refuse to be spoon fed Zwingli quotes from Catholic apologetics- for I doubt most of the pop Catholic apologetic writers have actually read Zwingli on this subject. Well, here's a present from me to the Catholic apologetics community. I did finally track down a piece from Zwingli on Mary. It is a section from the “Sermon on Mary, The Pure Mother of God”. Zwingli preached the sermon in Zurich in the autumn of 1522. In it, you will find Zwingli saying all sorts of things about Mary. He calls her "pure" and "holy", a "spotless virgin" etc. Note though, Zwingli’s explanation of the Greek word "kecharitomene". Zwingli understands the word to mean “favorable”. “When the angel came in unto Mary, he greeted her with these words: " Hail, thou art full of grace! The Lord is with thee, blessed art thou among women." Here it is to be noticed that this word "full of grace" is, translated from the Greek word "kecharitomene," which means beloved, or filled with grace, highly favored, whereby we understand that the word “full of grace " should not be taken to mean that she was from herself full of grace, but that all the grace with which she was so rich and full was from God. For to be full of grace is nothing else than to be highly favored of God and to be chosen before all other women. For grace is only the favor of God. So if I should say that God has given much grace to men, I should say nothing else than God has been very favorable to men and done loving things for them. Therefore is the pure Mary full of grace from God, as she herself sings: "He hath done to me great things." She says not: "I am great from mine own grace," but " the Almighty hath done to me great things." For immediately afterward she adds: "He hath regarded the lowliness of His handmaiden, for behold from henceforth all generations shall call me blessed." [Source: Guy Carelton Lee (ed. ), The World’s Orators (New York: GP Putnum’s Sons, 1900, 95-96). Leaving aside the main argument for another day (for it is a flawed argument- as if it actually matters what the Reformers thought about Mary's perpetual virginity! ), I’d like to explore the proof offered. For the Luther quote, the bibliographic citation given is “Works of Luther, Vol. II, 319-320 Volume 6, 510.” This reference to neither of the English editions Luther’s Works (The earlier Philadelphia edition, or the standard 55 volume Concordia set). Others in cyber space reference the quote as “Weimer's The Works of Luther, English translation by Pelikan, Concordia, St. Louis, v. 11, pp. 319-320; v. 6. p. 510”. Weimar is the German translation- Pelikan had nothing to do with it. So, in this reference, the German and English translations are cited together, combined to give a big inaccurate reference. This site documents it, “It is an article of faith that Mary is Mother of the Lord and still a virgin. (Weimarer Ausgabe 11:319-320)”. That last one may actually be accurate. "Zwingli's works were first collected and published by his son-in-law, Rudolf Gwalter, and entitled: "Opera D. H. Zwingli vigilantissimi Tigurinae ecclesiae Antistitis, partim quidem ab ipso Latine conscripta, partim vero e vernaculo sermone in Latinum translata: omnia novissime recognita, et multis adiectis, quae hactenus visa non sunt" (4 fol. vols., Zurich, 1545; reprinted, 1581). The first complete edition was edited by Melchior Schuler and Johannes Schulthess (8 vols., Zurich, 1828-42). Volumes VII and VIII, containing Zwingli's correspondence, are especially important. A new edition of his complete works prepared by Emil Egli (d. 1908), George Finsler, and Walther Kohler is appearing in the "Corpus Reformatorum", LXXXVIII (Berlin, 1905); three volumes I, II, and VII, have already (1912) appeared. " I would like to take you up on looking up the actual material. Is the Luther reference to the earlier Philadelphia edition of Luther's Works, or the Concordia 55 volume edition of Luther's Works? Also, which Treatise is being cited? You should know, since you got the quote from the "actual material. Can you quote Zwingli on Mary's virginity and also supply a context? The key is the later request. “Zwingli Opera, Volume 1 424. "I firmly believe that Mary, according to the words of the gospel as a pure Virgin, brought forth for us the son of God and in childbirth and after childbirth forever remained a pure, intact virgin. "I'd give you the rest of it but I'd have to dig it out of a box to do so, I'll look for it and get back to you, a couple others are waiting for it too.Note: Just to clearify [sic], I did not rip this from a website, I wrote an educational paper for an adult faith education class, and that was all I needed to put on the article, I'll look for the book after I move and unbox things. Should be in a couple of weeks or so." It will be long couple of weeks. Now this takes guts, but then again, it’s the Internet, and anything goes. I strongly doubt I’ll get the bibliographic material I asked for. I only point out tedium like this to show that many times, people are putting forth information as if they’ve actually studied a subject, and made an informed decision. For most people though, it seems one makes a conclusion and then looks for information to support it. Such is the normal folly of the defenders of Rome. 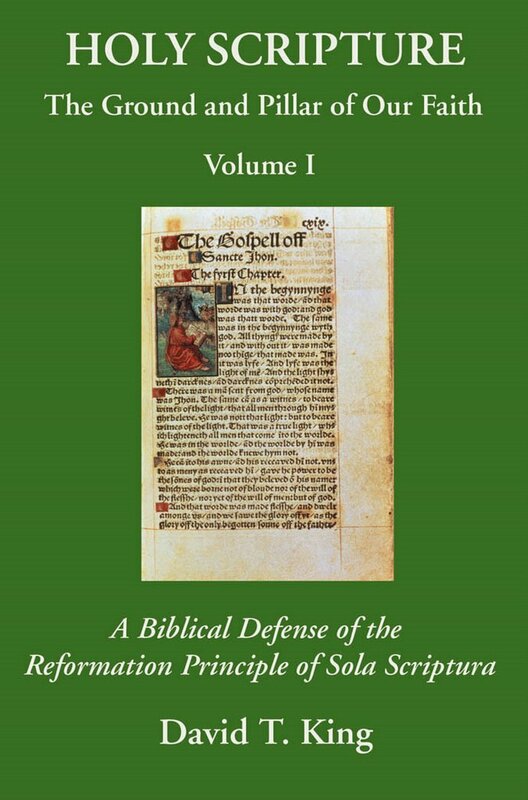 Every so often I come across free digital books about Martin Luther. Most of these books date from the 1800’s and early 1900’s. I happen to collect Luther books from this period, so I’m very pleased to be saving some $$ and getting these books for free. Most have downloadable pdf versions available. Some even include pictures of thumbs of whomever was scanning the text. Here’s a copy of Jules Michelet’s, The Life of Luther Written By Himself (London: George Bell and Sons, 1904). The book was written in 1828-1829, and published in 1835. Two brief reviews can be found here: Review (The Living Age, Vol. 10, issue 116, Aug. 1, 1846). Review (The United States Democratic review. / Volume 19, Issue 97, July 1846). While out of print, this book is not too difficult to track down under twenty bucks. Also available is scanned copy of Julius Kostlin, Life of Luther. (New York: Charles Scribner’s Sons, 1883). I actually own this book. Kostlin was one the greatest Luther scholars of the 19th Century. Here's a Text Version as well. While out of print, this book is not too difficult to track down under twenty bucks. The great Luther expert J.M. Reu commented, "Kostlin's great Luther work...which appeared in 1883 in an improved edition, sought to satisfy all scientific demands. Luther's life is not only discussed in its smallest details in this work, but the main contents of almost all his writings are given to the reader. For that reason it is even today the leading work on Luther..." [Source: J.M. Reu, Thirty-Five Years of Luther Research, 114]. Ian Siggins: "One of the most balanced biographies of Luther ever written" [Source: Luther (Evidence and Commentary Series), 197. Here’s a copy of Preserved Smith, The Life and Letters of Martin Luther, a book which dates from the early 20th Century. Another book I own. Smith’s work is interesting yet flawed. He was an advocate of the psychoanalytical approach to understanding Luther. This book is more Smith’s commentary than actual letters. Here’s a copy of Smith’s Luther’s Correspondence and Other Contemporary Letters (vol. 2). Here’s his book, Conversations With Luther: Selections From Recently Published Sources of the Tabletalk (1915). Both of these volumes are tough to track down. Here’s an 1830’s compilation of The Most Celebrated Sermons of Martin Luther. This book is a good find. Used copies start around $45 and go up. Elizabeth Rundle Charles, Watchwords for the Warfare of Life From Dr. Martin Luther (New York: MW Dodd, 1869). Edwin Mead, Martin Luther: A Study of the Reformation (Boston: Geo H. Ellis, 1884). I'm sure there are dozens more availalble. If you find some, please drop me a line. A dramatic deathbed change of heart is emotionally compelling. I myself had a close family member (my brother) who actually may have accepted Christ in his dying moments. I won’t know this side of eternity whether or not that change of heart really occurred. Imagine what a Luther-change-of-heart-on-his-deathbed would mean to Roman Catholic apologetics! 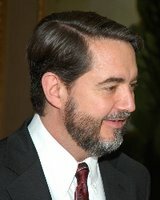 If Luther was administered last rights, he was admitting that works were necessary: that is, Christ’s righteousness is not imputed to a sinner. Rather, Luther would be admitting that one must literally become holy, in order for God to view a person as holy. The sacrament of last rights would take away mortal sin. One is therefore not saved by faith alone, but by faith and the process of becoming sanctified. 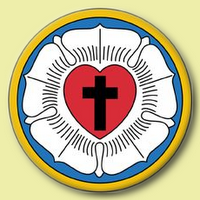 “…[W]hat shall we say of Luther’s last prayer… ‘Oh my Heavenly Father’ (he says) ‘God and Father of our Lord Jesus Christ, God of all consolation, I give thanks to You, because You have revealed Your beloved Son Jesus Christ to me, in Whom I believe, Whom I have preached and have confessed, Whom I have loved and praised; Whom the abominable Pope and all impious people revile, persecute, and blaspheme, etc.’ Here let Jonas inquire of all corners of the Councils, to see whether he shall be able to find in the writings of any Christian a dying man's prayer of this sort, in which anyone at all thus boasts of himself, thus in comparison to himself condemns and accuses all those who, under the Pope, have worshiped Christ, thus attacks and slanders the Shepherd of the Church, the Supreme Pontiff. Or is it not rather to be believed, that soon after these words of Luther's Christ the Judge said to Luther's soul, just now snatched from his body in death itself, 'From your own mouth I judge you, you wicked servant - since you yourself earlier both said and wrote that you heard Christ's voice in the Pope, Who was speaking and governing in him? Moreover, let that man be anathema and cursed, who speaks against the truth of the Apostolic privileges. Moreover, I aver that there are more good Christians under the Pope - nay, rather, every good Christian; and that under the Pope is the true Christianity, and what is more, the true kernel of Christianity. Therefore, what hope of salvation can a man so hardened possibly have, and one who persists, to the very end, against charity, in his heresy, schism, and rebellion, and in his everlasting hatred against the Pope, and so breathes out his stubborn and obstinate soul? For not only does the judgment of Christ and of Paul, Cyprian, Augustine, and others like them, attested many times over, judge him, but also his own speech and the judgment of his own mouth. Therefore, Jonas stupidly and impiously praises him for this prayer.” [Luther Lives: Two Contemporary Accounts of Martin Luther (New York: Manchester University Press, 2002), 348-349]. "Reverend father, will you die steadfast in Christ and the doctrines you have preached?" Yes," replied the clear voice for the last time. On February 18, 1546, even as he lay dying in Eisleben, far from home, Martin Luther was not to be spared a final public test, not to be granted privacy even in this last, most personal hour. His longtime confidant Justus Jonas, now pastor in Halle, having hurriedly summoned witnesses to the bedside, shook the dying man by the arm to rouse his spirit for the final exertion. Luther had always prayed for a "peaceful hour": resisting Satan—the ultimate, bitterest enemy—through that trust in the Lord over life and death which is God's gift of liberation from the tyranny of sin. It transforms agony into no more than a brief blow. But now there was far more at stake than his own fate, than being able to leave the world in peace, and trust in God. For in the late Middle Ages, ever since the first struggle for survival during the persecutions of ancient Rome, going to one's death with fearless fortitude was the outward sign of a true child of God, of the confessors and martyrs. The deathbed in the Eisleben inn had become a stage; and straining their ears to catch Luther's last words were enemies as well as friends. As early as 1529, Johannes Cochlaeus, Luther's first "biographer," had denounced Luther in Latin and German as the seven-headed dragon, the Devil's spawn. Slanderous reports that he had died a God-forsaken death, miserable and despairing, had circulated time and again. But now the end his friends had dreaded and his enemies had longed for was becoming reality. Who now would lay claim to Luther and fetch him, God or the Devil? While simple believers imagined the Devil literally seizing his prey, the enlightened academic world was convinced that a descent into Hell could be diagnosed medically—as apoplexy and sudden cardiac arrest. Abruptly and without warning, the Devil would snip the thread of a life that had fallen to him, leaving the Church unable to render its last assistance. Thus, in their first reports, Luther's friends, especially Melanchthon, stressed that the cause of death had not been sudden, surprising apoplexy but a gradual flagging of strength: Luther had taken leave of the world and commended his spirit into God's hands. For friend and foe alike his death meant far more than the end of a life. Shortly after Doctor Martinus died at about 3:00 A.M. on February 18, Justus Jonas carefully recorded Luther's last twenty-four hours, addressing his report not to Luther's widow, as one might expect, but to his sovereign, Elector John Frederick, with a copy for his university colleagues in Wittenberg. Had Luther—born on November 10, 1483, as a simple miner's son—died young, history would have passed over his parents' grief unmoved. But now his death was an affair of state. The day after his birth—the feast of St. Martin—he had been baptized and received into the life of the Church as a simple matter of course, but now there was open dispute over whether, having been excommunicated by the pope, he had departed from this world a son of the Church. In the last days before his death Luther had been the cheerful man his friends knew and loved. He had successfully completed a difficult mission: a trip from Wittenberg to Eisleben to mediate in a protracted quarrel between the two counts of Mansfeld, the brothers Gebhard and Albert. Hours had been spent sitting between the parties, listening to the clever reasoning of administrative lawyers—a breed he had despised ever since his early days as a law student in Erfurt. After two tough weeks of negotiation, the parties had narrowed their differences and a reconciliation had finally—though only temporarily—been achieved. So there was reason to be cheerful. Luther had suspected that he would die in Eisleben, the place of his birth. But this did not worry him, although he was quite sure he had little time left: "When I get home to Wittenberg again, I will lie down in my coffin and give the worms a fat doctor to feast on." By highlighting the skeleton within the human body, late medieval art had urgently reminded everyone that health, beauty, and wealth were only a few breaths away from the Dance of Death. The "fat doctor" was well aware of this, not as a moralistic horror story, but as a reality of life poised on the brink of eternity. [Source: Heiko Oberman, Luther: Man Between God and the Devil (New York: Doubleday, 1982), 305]. Gelasius alleges that Ossius presided as representing the bishop of Rome, but this is probably because an historian writing in the second half of the fifth century could not imagine that a bishop of as obscure a see as Cordova could have presided over a General Council unless he was a proxy for a much more important ecclesiastic. And the Westminster Dictionary of Church History is very frank in describing the character of Gelasius' work: "Highly imaginative, it is hardly trustworthy." Yet, this is the source Barbour cites to turn the Council of Nicea into a Roman Catholic entity. Such claims look good when the reader does not inquire into their true value. Such can be said as well for Envoy's attempted response.James WhiteEndnotes: This article is currently posted in its entirety here. In the magazine itself the article is found on pp. 30-37. Points made in a written debate here. For an excellent discussion of these issues, see the article by Bill Webster here. The article originally referenced here is no longer on line. John Henry Cardinal Newman, An Essay on the Development of Christian Doctrine (Notre Dame: University of Notre Dame Press, 1989), p. 150. R.P.C. Hanson, The Search for the Christian Doctrine of God (Edinburgh: T&T Clark, 1997), p. 154. George Salmon, The Infallibility of the Church (Grand Rapids: Baker Book House, 1959), p. 289. Richard McBrien, Lives of the Popes (HarperSanFrancisco: San Francisco, 1997), p. 58. Philip Schaff, History of the Christian Church (Grand Rapids: Eerdmans, 1985), III:631. Hanson, p. 155. See as well Trevor Gervase Jalland, The Church and the Papacy (London: SPCK, 1946, p. 199, "The fact that Hosius' name occurs first in all lists of subscriptions suggests that he presided as the Emperor's representative, though probably not as Gelasius Cyz....states as a legate of Silvester." Jerald Brauer, ed., The Westminster Dictionary of Church History (Philadelphia: The Westminster Press, 1971), p. 354.